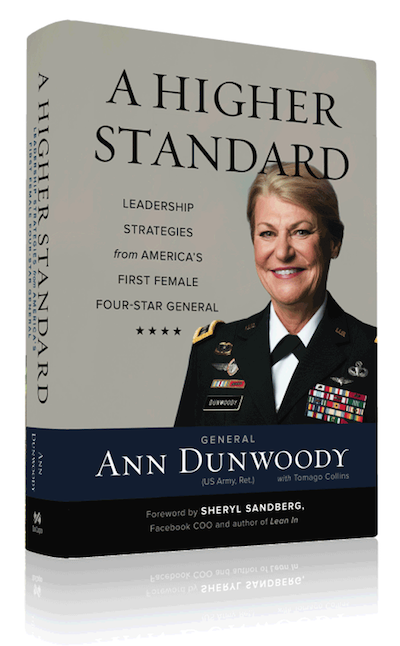 In November of 2008, General Dunwoody became the first woman in military history to achieve the rank of four-star general. She had already been the first woman to command a battalion in the 82nd Airborne Division, and Fort Bragg’s first female general officer in 2000. General Dunwoody is the former commanding general of the U.S. Army Materiel Command, which is one of the largest commands in the Army with more than 69,000 employees and presence in all 50 states and 145 countries. In 2005, Dunwoody became the Army’s top-ranking female when she received the promotion to lieutenant general (three stars) and became the Army’s deputy chief of staff, G-4 (logistics) at the Pentagon. During her more than 30 years as a quartermaster corps officer she led many organizations at home and abroad, commanding at every level. Dunwoody deployed to Saudi Arabia for Operation Desert Shield/Operation Desert Storm in 1990. In 2001, as the 1st Corps support command commander, she deployed the logistics task force in support of Operation Enduring Freedom and stood up the Joint Logistics Command in Uzbekistan in support of the combined joint task force. Later, as commander of surface deployment and distribution command, she supported the largest deployment and redeployment of U.S. forces since WWII. She officially retired after 38 years of service in 2012. Dunwoody has recently been appointed to the board of directors of L-3 Communications, which employs over 51,000 people worldwide. She is also on the board of LMI, a well-respected government consulting firm and Republic Services, Inc. She is a member of The Aspen Institute’s Franklin Project Leadership Council. Her husband, Colonel Craig Brotchie, U.S. Air Force (ret. ), sits on the Board of the Special Operations Warrior Foundation. Want to keep up-to-date on events & appearances?